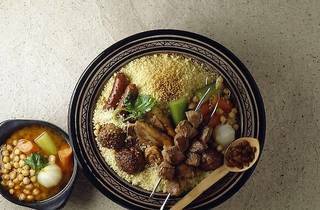 Whether it's with merguez, chicken, royale (that's lamb, merguez and chicken) or just plain and simple couscous, there is a serious Parisian love affair with this comforting Magrebian dish. 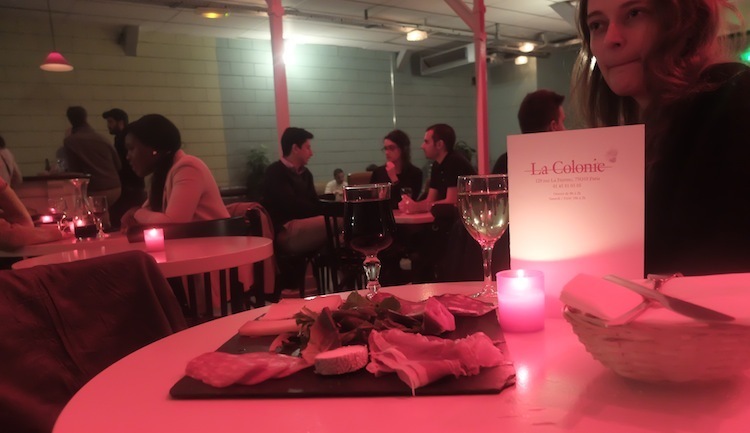 It's one of the top ten most-loved in France and judging by the sheer number of cosy couscous restaurants, perhaps it's in the top five for Parisians. 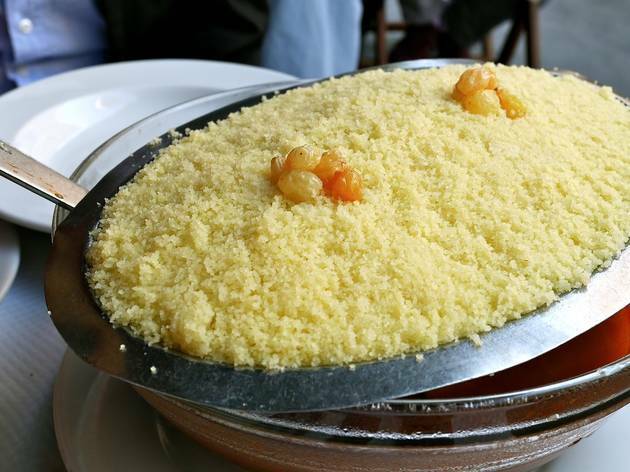 But where to start when there's so many shrines to semolina? Our handy guide should help you find the city's best broth, spiciest merguez and most perfect pastilla. 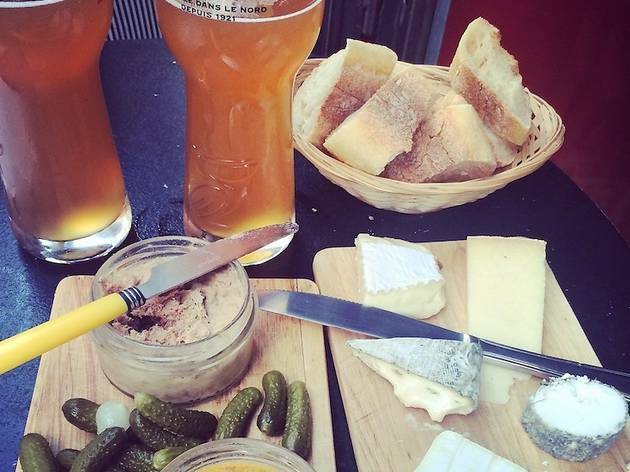 And because there's nothing better to soak up cheap beer than a mountain of this gorgeous grain, we've also found the bars that serve free couscous with your booze. 10th arrondissement. 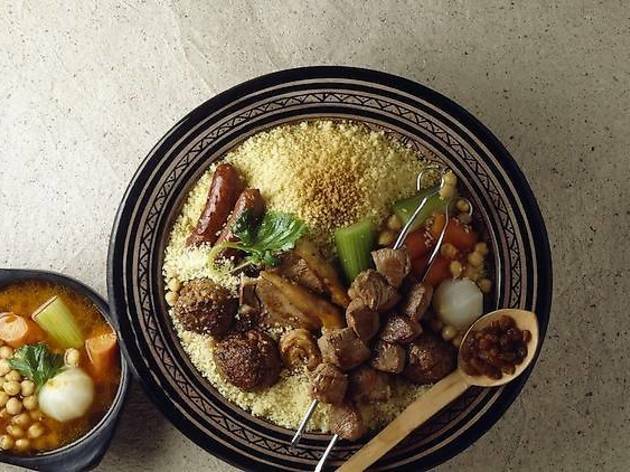 These four brothers specialise in kebabs and couscous, with their showpiece being the ‘4 frères’ meal of 16 skewers (four each of liver, lamb, beef and merguez) at €17.50. 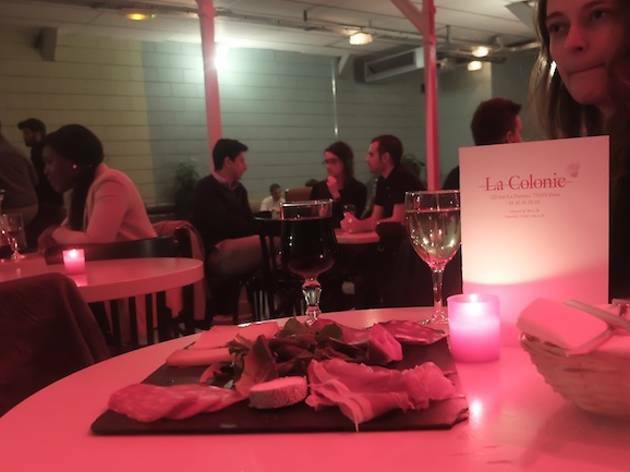 Avoid coming after 8pm on Fridays and Saturdays, as tables get snapped up quickly and the restaurant doesn’t accept reservations. 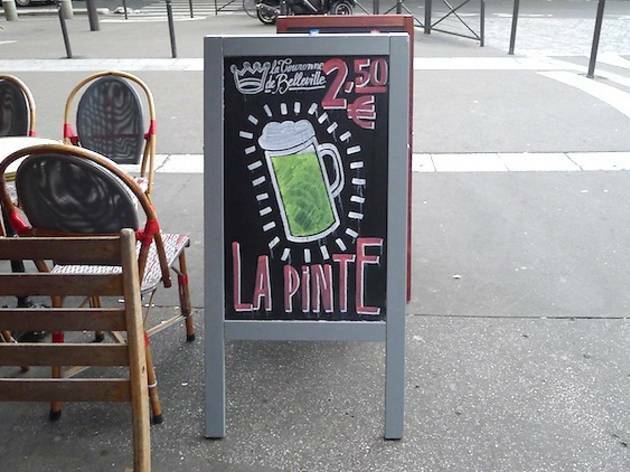 11th arrondissement. 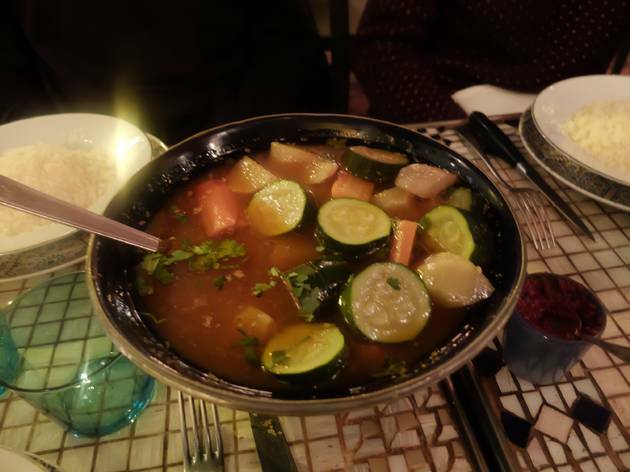 With its pleated fabric ceiling, giant mirrors, mosaic-topped tables, and lanterns and candles throughout, Le Tagine sets the right scene for what we reckon is the best couscous in the city. 13th arrondissement. 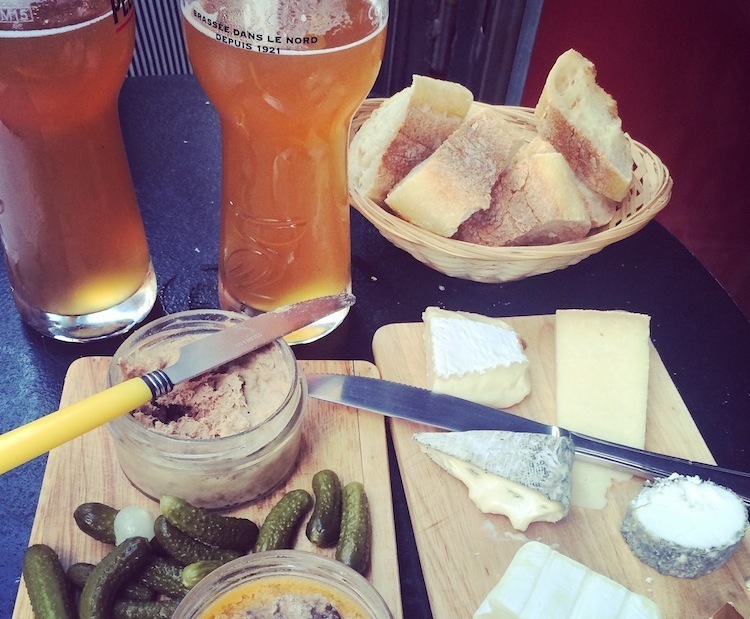 Among the good spots in Butte-aux-Cailles, Chez Mamane is an institution. 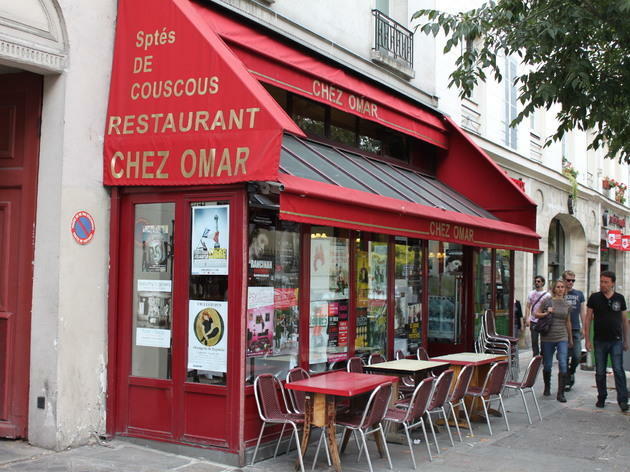 A tiny room on the Rue des Cinq Diamants, this couscous canteen is packed with neighbourhood regulars drawn to what is known as the ‘best broth in Paris’. 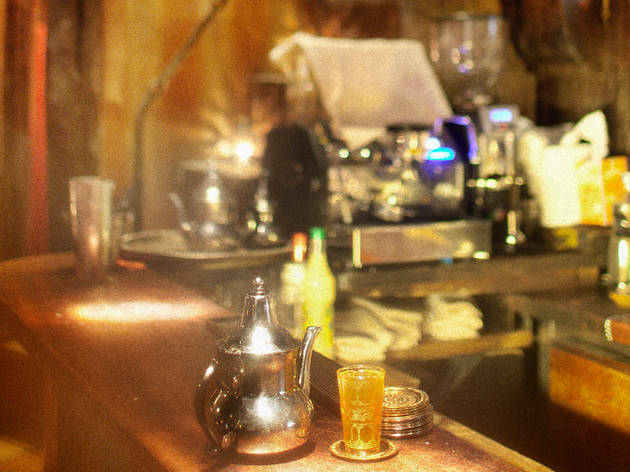 The once-fashionable Omar doesn't take reservations, and the queue can stretch the length of the zinc bar and further. 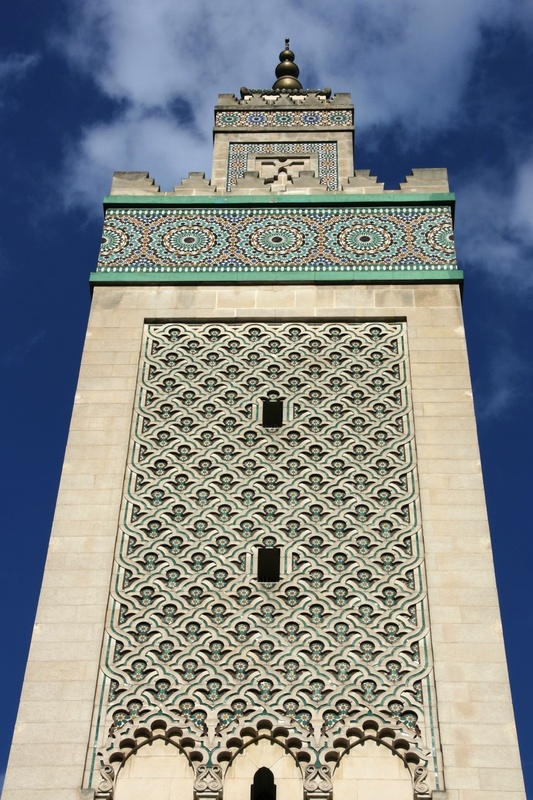 Prices range from €11 (vegetarian) to €24 (royale); there are no tagines or other traditional Maghreb mains, only a handful of French classics (duck, fish, steak). Even on packed nights, there's an offer of free seconds to encourage you to stay a little while longer. 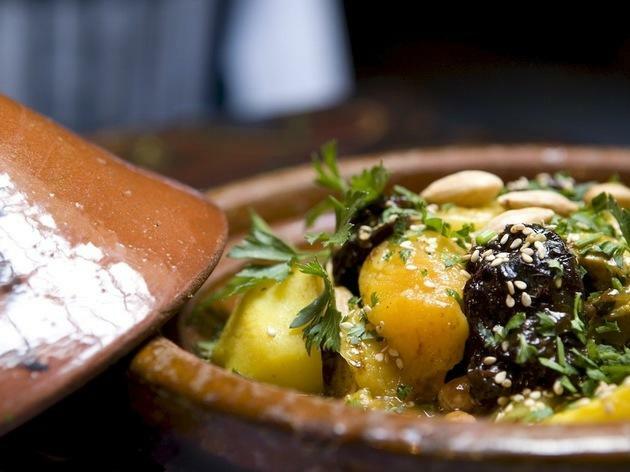 404 restaurant in Paris' supercool Marais exhibits all the vibrant flavours and colours of North Africa. Retrofitted into a 16th century building, 404's interior is all Berber, with pouf seating, exposed beams and stones, tooled leather and authentic artifacts. It's got the air of a charming dive with smiling waiters and culinary treats awaiting. 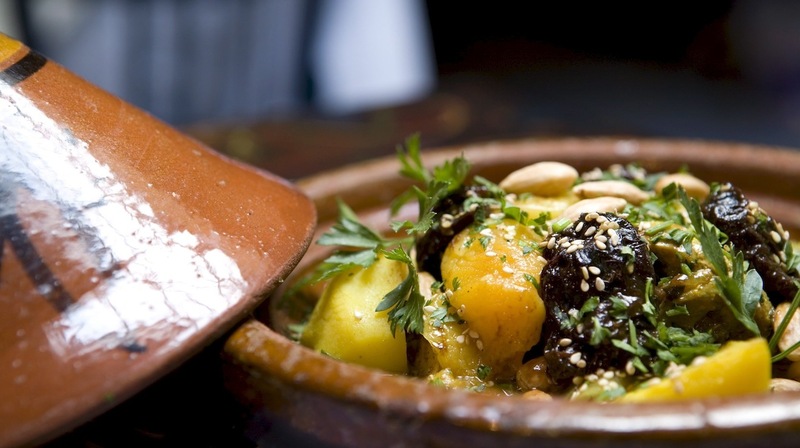 The menu features well-executed dishes like couscous, tagines, and grilled meats. 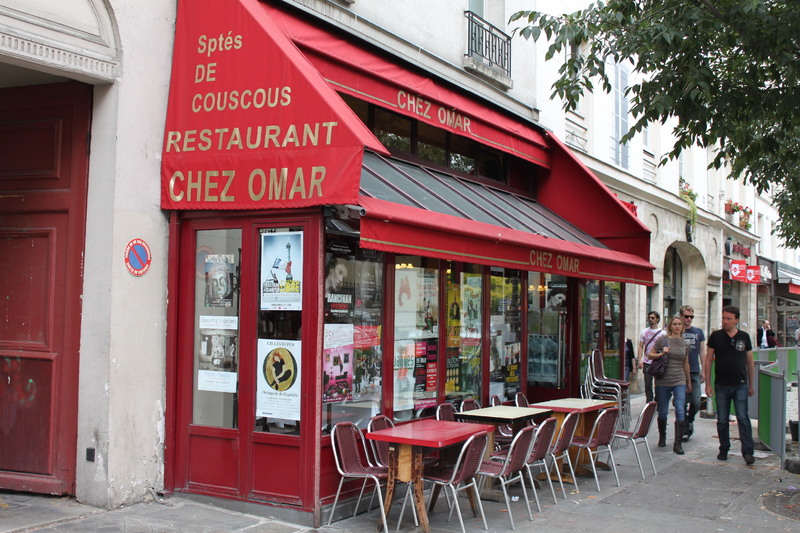 This couscous restaurant on rue René Boulanger has been open for almost sixty years. 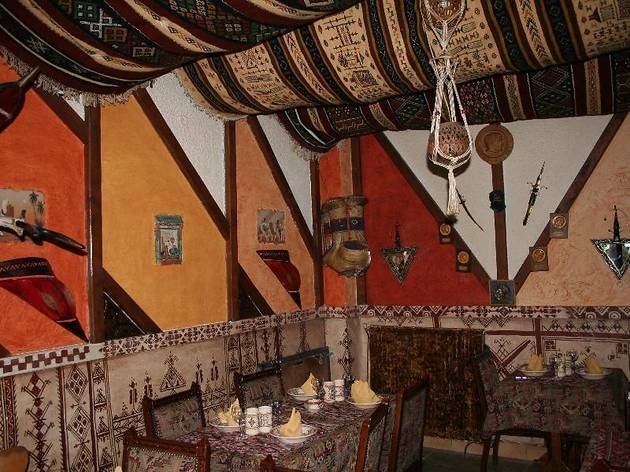 Established in 1946, Le Zerda Café’s orientally decorated main room is always packed with diners hungry for their tagines and coucous. 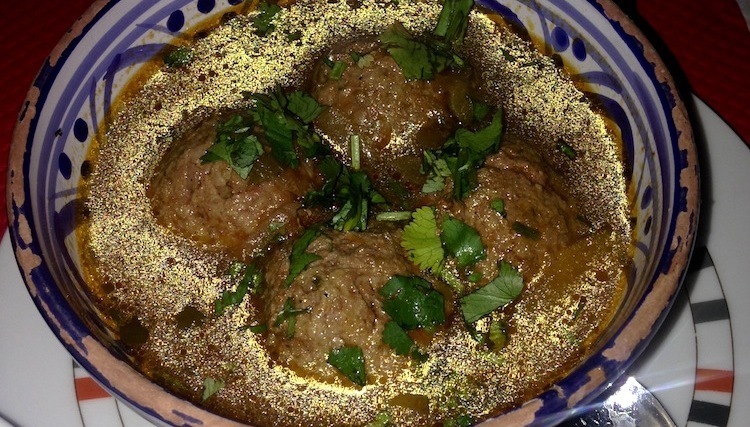 The classics includes the excellent merguez and meatballs couscous, the sweet-savoury fassi with dried fruit, chickpeas, confit onions, and fragrant, delicately flavoured meatballs, and the chicken or pigeon pastilla. 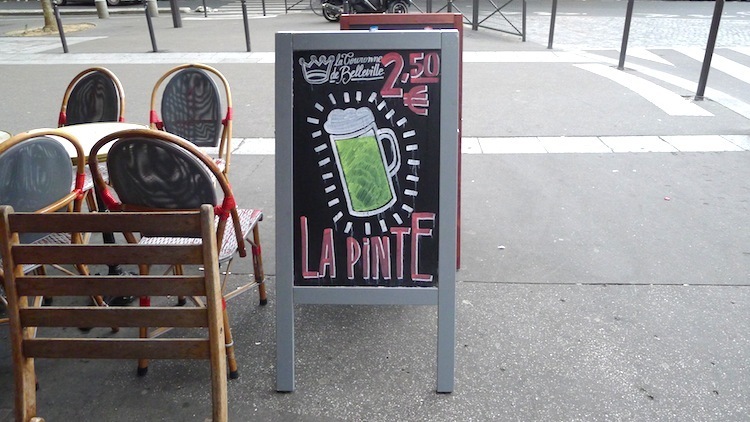 On the surface, Yemma looks like any other trendy Parisian canteen, but luckily this spot doesn’t forego good quality food in its bid to be hip. 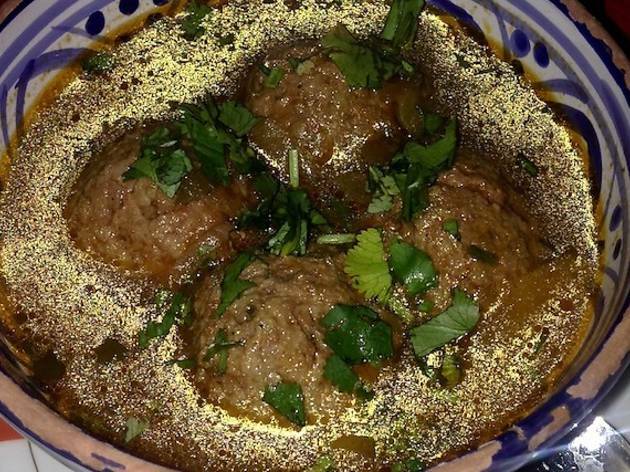 Moroccan cuisine is created and cooked by reputed TV chef Abdel Alaoui, so it’s no surprise that it’s near perfect. 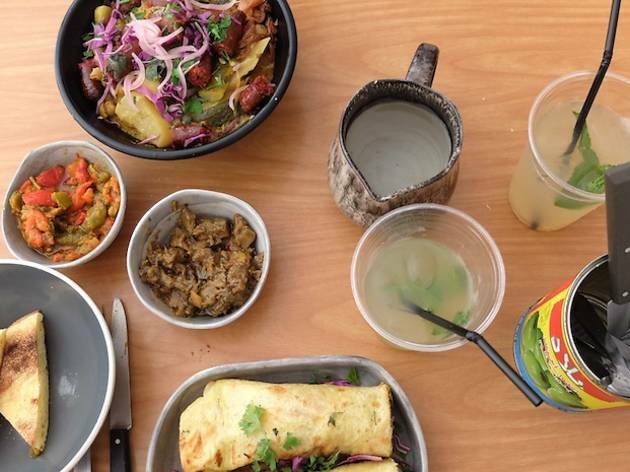 The counter is piled high with sweet-smelling breads, msemens (a cross between a crêpe and a flatbread) and bowls filled with colourful salads and different varieties of couscous. 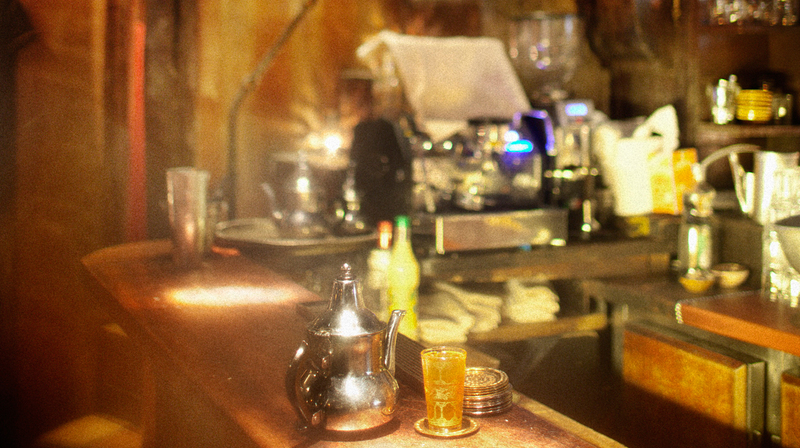 L'Homme Bleu's simple, welcoming ambiance is the perfect background for the superior Maghreb cooking. Meat grills slowly on the fire and regulars jostle for space – it might not look like much from the outside, but the full tables tell you all you need to know. The grains are fine and light, the sauces scented and flavourful, the meats are the real deal. If you have room afterwards, you can snack on sweet pastries. 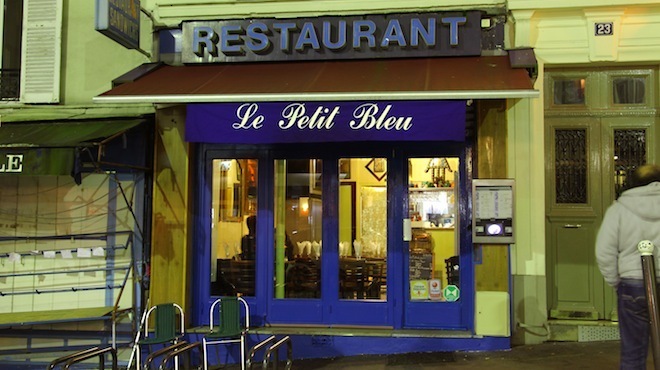 So close to Paris Expo at Porte de Versailles even execs from the flashiest global companies don't always get a taxi to Le Caroubier restaurant. Red curtains, rows of thick cushions, yellow wall lanterns, old prints and brass plates transport you to another world. 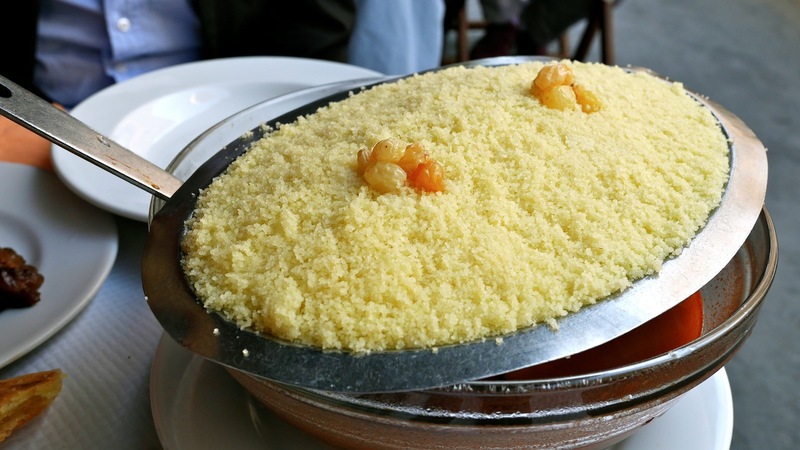 Highlights of Le Caroubier’s menu include delicate couscous dishes, unfussy tagines, well-cooked pastillas and not-to-be-missed North African pastries. 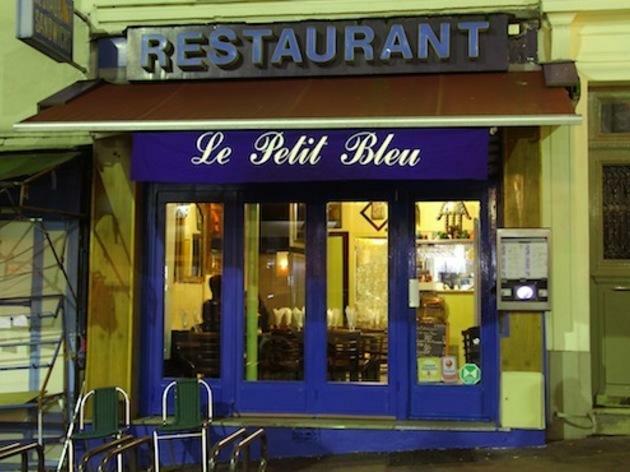 Le Petit Bleu doesn't look like much, but it is absolutely delightful. 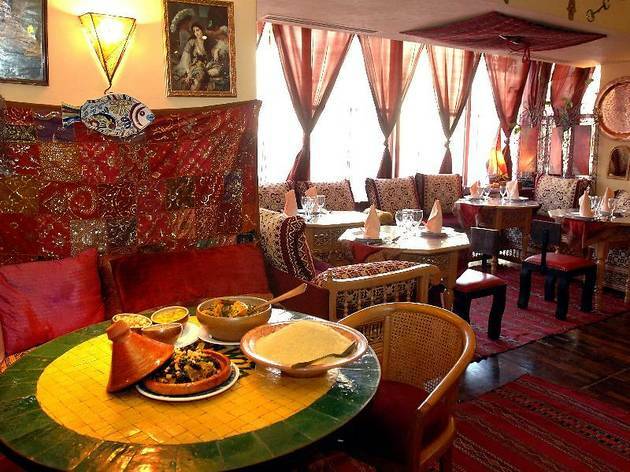 A Moroccan canteen tucked away in a Montmartre back street, they serve perfect couscous, tagines and grills in enormous portions – you would struggle to find better in the city. Above all, the value for money is incredible, with dishes around €10. 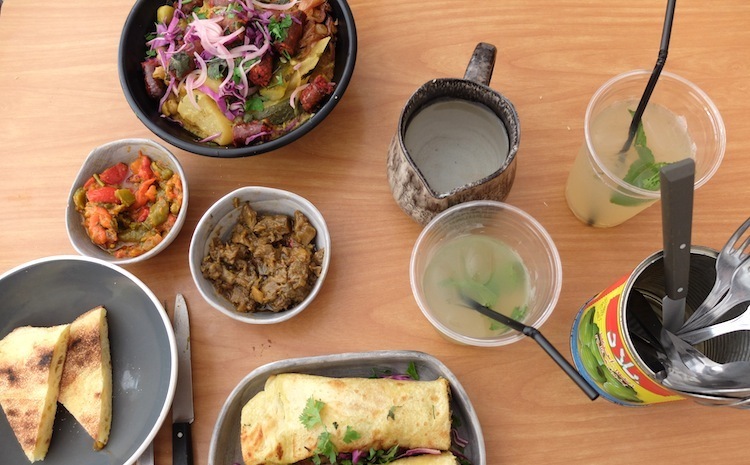 It’s open until 1am, but the space is tiny, so be prepared to queue or to get your couscous to go. 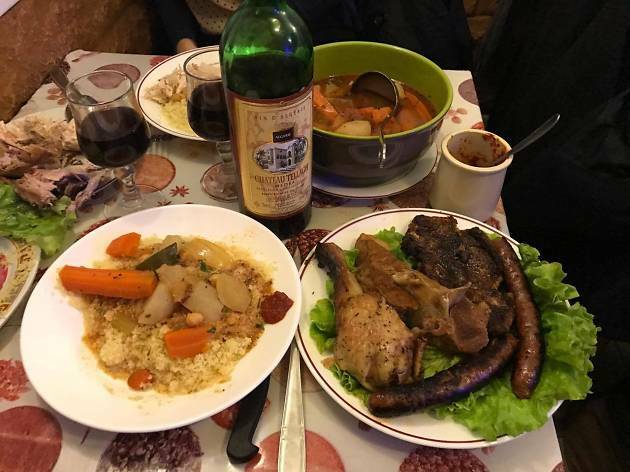 Not far from Parc de Buttes Chaumont, L’Atlantide offers a gastronomic voyage of Berber delicacies like Chorba (a lamb soup with vegetables and bulgar wheat), Tchouktchouka (warm ratatouille with peppers and tomatoes) and chicken pastilla (a savoury-sweet combination of chicken and almonds in puff pastry). 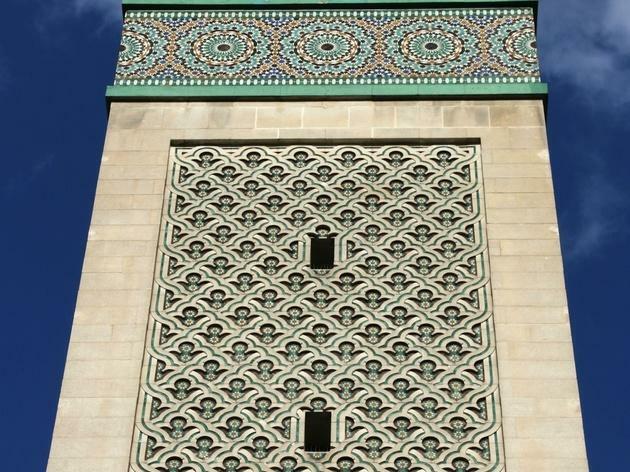 Have yourself a perfect afternoon at this vast Hispano-Moorish mosque, including a visit to the peaceful La Mosquée café for thé à la menthe, along with syrupy, nutty North African pastries, sorbets and fruit salads. Bliss.